When you help each other grow and become a better person than they are today, you are meant to be together. You love each other so selflessly that all around you start to call you weird and crazy. You come up with a little world of your own and that is your safe haven. In that world, you are both safe and happy in each other’s arms. Love is often a struggle, at least in most aspects. It is hard to achieve, keep up, and progress in such a way that it is never going to end. And it has got enough reasons to be a struggle. It is the basic human nature to value things that come hard, and what can be more valuable to the human life than love itself? It is when you commit yourself to work hard in getting something that you work even harder to maintain your possession over it. Love is one of the most fundamental cravings in most of our lives and it is quite prominent. It is the main motivation that helps us to go around our life. It is the basic reason for most of us to be alive. A lot of individuals would prefer not to live if it was snatched away from them. Love works to bind humanity into a single thread. But it is one of the hardest things to find. 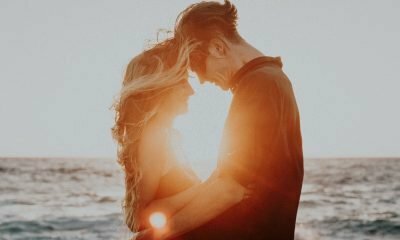 It can be quite hard to find real love that is worth dedicating your life to. While it can be struggling, it is obviously worth that. Some may have luck in their favor while others need to fight for it. And also, many cannot find the right one at the first time despite all the struggle and efforts. Even if you found true love, there is no one who can guarantee that it will last forever. But there are a few things that make clear that your commitment is worth the struggle. Below mentioned are 5 signs that states that you are meant to be together forever. It is a slope that most of us slip on. But it is one of the most common ingredients in any relationship. If you really want to open up to the person you love, you must allow yourself to succumb to your own vulnerabilities to the other person. It is the direct scale that measures the trust you would do on the other person. Being vulnerable is basically gifting your heart to the one you love, expressing your trust on them. If you have no issues being vulnerable around each other, you are probably going to stay together with other forever. Respect is one of the prime ingredients that define the worth of any relationship. All individuals are different and all have their own sets of values, opinions, emotions, dreams, and principles. It is then when you try to respect each other that you water each other to grow and develop to the full extents. You value their desire, their occasional demand for space and privacy and don’t belittle them for anything. Using harsh language is just out of the entire context. Instead of hurting the feelings of each other, you respect their dignity. But that does not mean you will be absolving your own integrity. It is going to be mutual and reciprocal. 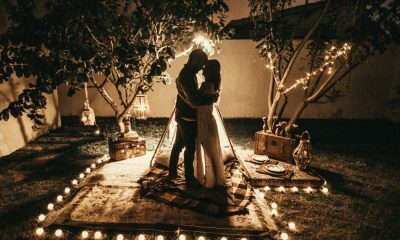 The belief that your partner is the best person comes from your heart and you obliterate all spaces for disrespect for who you consider to be your significant half. While many consider jealousy to be one of the basic ingredients of true love, many would debate otherwise. It is when you are matured enough to realize your own worth that you no longer have space for being jealous in your relation. Insecurity has been removed from the space in between you and you prefer open communication with your loved one on any topic. There is no space for any lie thus obliterating all possibilities of feeling insecurity. Would you really feel the insecurity if you trust the person will not be ditching you ever? It is one of the prime components that the human mind searches love for – to be happy. There is no chance for physical beauty to cling on forever. It is the spiritual beauty that is going to last for eternity. If you really enjoy each other’s company and laughter never gets out of sight when you are together, you are probably going to last forever. It is even more important after you have been with each other long enough. If you can still fill him/her filling your soul with the utmost joy, happiness and laughter, you are really lucky. You are the sunshine in their life and it is what matters the most, especially if you want your relationship to last long terms. Of course, you will be growing together. But what matters the most is how much you help each other in the path of your individual progress. If your partner continuously works to encourage your growth and aid you to become a better person, chase on your dreams and achieve your goals, you are meant to be together forever. Growing in a relationship is only possible when you can grow as an individual and help the other person grow as well. It is only then that love finds its true meaning and works to make the relationship last an eternity.